Why give a laptop to a child in the emerging world? If you replace the word "laptop" with "education" the answer becomes clear. The One Laptop Per Child foundation has partnered up with amazon. This is a wise choice since amazon is a very experienced partner when it comes shipping and handling orders and it is also accessible to even more people that want one. The price for the the give on get one deal is 399$. If you just want to donate one the price is 199$. When XO-1 was announced there where no cheap ultra portables in the market. Since the arrival of the eeePC though everything changed. One can get one those gadgety laptops for the same price as the give one get one deal of XO-1. Why would he/she prefer the technically inferior XO-1 to the more trendy and powerful eeePC and the like. The answer has probably something to do with the charity factor of the deal ,or because XO-1 is an excellent portable computer, or both. It is hard to crack, it has really long battery life, it has a very simple interface, it has an open architecture utilizing open source applications and it would make an excellent first computer for anyone's kid. At any rate, the One Laptop Per Child Idea gives children the opportunity for better education that otherwise would never have. If a west-world consumer can help to achieve that, he might just as well do. 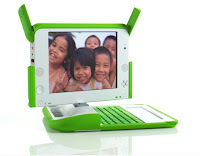 If he is to buy the eeePC as a fashion Item or simply as a useless gadget it is better to get an XO-1 for himself and buy one for an underprivileged kid in a developing country.